Thanks, John Lucas, for sharing the joy of salvation with us today through gospel music! 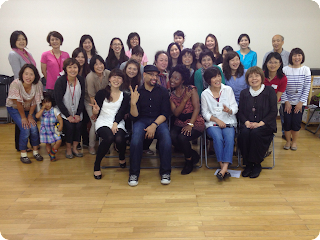 Thanks to Gregory and Ruth Hooper for a great gospel workshop on June 11! Your energy, testimonies, and special numbers really made for a great time together! 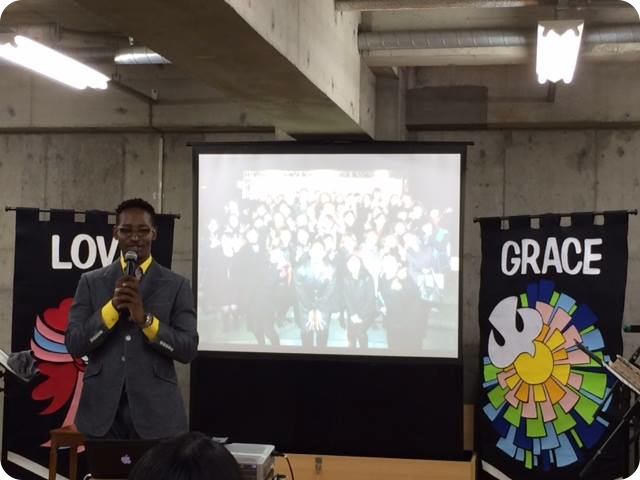 "I didn't come to Japan to sing gospel." Ray Sidney says. We found out that was true this past Sunday. It was a joy to welcome Ray as a special guest singer. 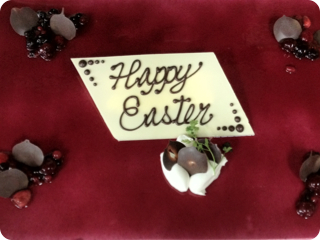 But we were sorry that he was suffering from a bad head cold and had nearly lost his voice. Ray added, "If I came only to sing, then what should I do at times like this? 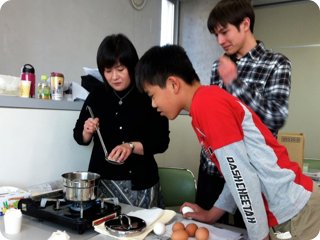 I came to obey God who told me 'go and serve.'" 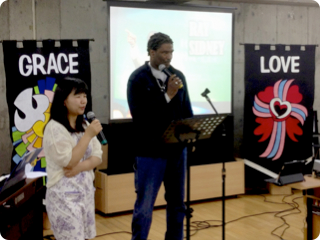 In spite of his cold, Ray sang a number of songs for both our 11am Morning Service and 3pm English CAFE. 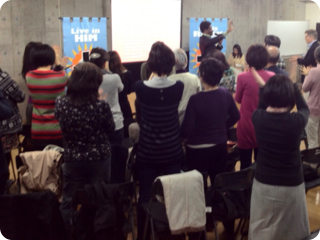 He also gave us a taste of a gospel workshop with a 20-minute mini workshop after the service. Thanks, Ray, in spite of your physical limitations for coming to minister to us! We had a great gospel mini concert this past Sunday. 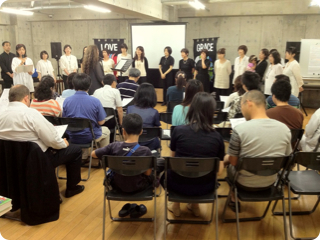 Our "Voices of Grace" gospel choir really practiced hard to learn the lyrics for many challenging songs. After 14 semesters of gospel choir practice at Denen Grace, they are not just the "Voices of Grace" but also the "Voices are great"! We were all very moved by their "Hosanna" rendition by Kirk Franklin. What a powerful song! God was gloried through song and words on Sunday. 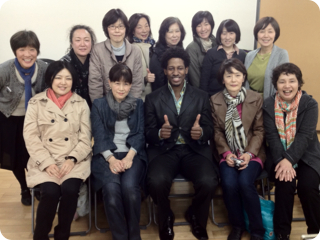 Ray Sidney is visiting Japan again this November and December, performing a number of special charity concerts and workshops. 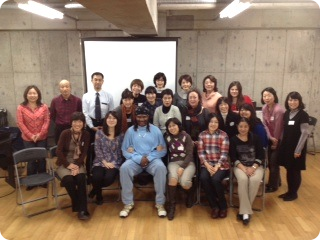 Ray shared his talent with us in a special gospel music workshop 11/29, teaching a song entitled, "Thank you, Jesus." He ended the time with a moving rendition of "How Great is our God." 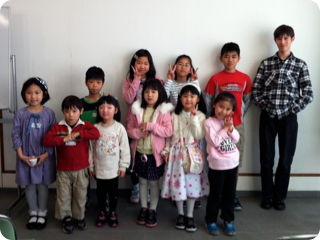 Thank you, Ray, for your ministry and love for Japan.